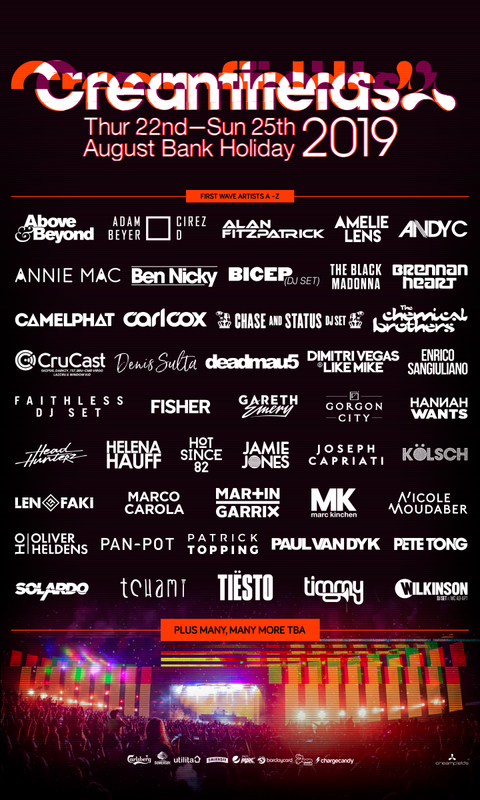 It had already been confirmed that Swedish House Mafia would be at this year’s Creamfields Music Festival, but today, the festival released its first wave of acts.Creamfields has been letting headliner announcements trickle out one by one – that is, until today. The Daresbury, U.K festival’s organizers have now added dozens of big names to the list in one massive “first wave” lineup reveal. This stacked lineup has a lot of big names will be there this year, including Martin Garrix, Tiësto, Carl Cox and Above & Beyond. Creamfields will be held Thursday, August 23rd through Sunday, August 25th, 2019. Here is the full lineup!